The Yorkshire Terrier is highly active, intelligent and playful and does well in agility sports. The Father of all Yorkies is believed to be “Huddersfield Ben” a champion show dog born in 1865. Yorkies are a bit fragile and are not a great choice for families with small kids. 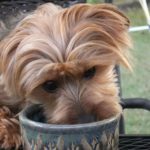 Yorkies bark a lot and are excellent watchdogs but they do require constant training and exercise to control the habit. 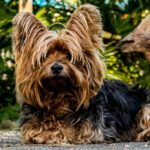 By American Kennel Club (AKC) standards a Yorkshire Terrier should weigh 4 – 7 pounds and have a shoulder height of 6 – 9 inches. Yorkies are sometimes referred to as a “purse dog” because they love to go everywhere with their owners. Yorkies make excellent lap dogs and therapy dogs. Yorkies are known to be very brave. Known for being very social, Yorkies also tend to suffer from separation anxiety when left for long periods alone. The name Dachshund, is derived from the German words “Dachs” and “hund” which literally mean “badgerdog” in German. Believe it or not, the Dachshund was originally bred to exterminate vermin! Dachshunds come in 15 colors and exhibit 6 marking combinations. They come in 3 sizes – miniature, intermediate and standard – ranging between 11 and 32 pounds. Queen Victoria is credited for making the breed popular in England. The Dachshund was the very first Olympic mascot in the games’ history, in Munich – 1972. The hot dog was named after the Dachshund since they were big favorites with German butchers. Dachshunds may be little, but they LOVE to eat and are prone to obesity which shortens their lives. They are fond of jumping out of people’s arms and usually hurt their backs while doing so. 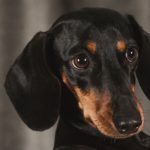 The Dachschund is Britain’s first cloned dog. Pugs originated in the Far East and were regarded as priceless by Chinese emperors. They are often mistaken for being dumb, but are actually smart enough to get their own way with people. The breed got its name from Pug monkeys because of the close facial resemblance. Pugs are famous for snorting and are tagged “a grumble of pugs” when in a group. Pugs are generally very quiet dogs, leading many to believe that they don’t bark. This breed is known to shed hair 357 days a year which isn’t ideal for people with allergies. The Pug’s short nose makes it highly prone to suffer from heatstroke. A Pug’s tail is considered perfect if it has two curls. There’s a pug named Chester with an MBA from Rochville University. The secret fraternal group – Order of the Pug – is named after the breed. The fact that Havanese have hair rather than fur makes them unlikely to cause an allergic reaction. 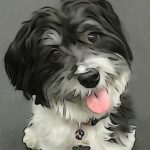 Havanese have a very bouncy gait, a trait which is unique to their breed. Havanese are nicknamed “Velcro dog” because of their tendency to stick very close to their owners. By 1970 there were only 11 Havanese dogs in the US, but this number was increased thanks to careful breeding by Cuban exiles. Havanese have earned fame as circus dogs doing shows all over Europe. 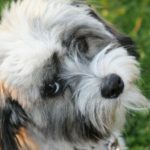 Havanese dogs are intelligent and always eager to please, which makes them easy to train. The Havanese is Cuba’s National Dog and the only breed that’s indigenous to the country. Havanese’s almond-shaped eyes are considered to be the most human-like eyes among all dog breeds. The most famous owners of Havanese in this Century are Venus Williams, Barbara Walters, and Daniel Tosh. Contrary to its heavy outward look, this dog’s coat is actually very soft and light. The Pekingese has been confirmed by DNA evidence as one of the oldest dog breeds. The breed is named after China’s capital city of Peking. The Pekingese is nicknamed the Lion Dog for its uncanny resemblance to Chinese guardian lions. Pekingese dogs were exclusively owned by Chinese aristocrats; commoners risked punishment by death for possessing one. The Pekingese breed has 10 color combinations with three different types of markings. 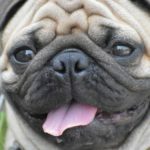 This dog breed has an unmistakable “v” shaped nose wrinkle between the eyes and the muzzle. 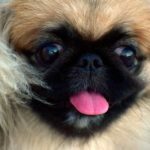 Pekingese dogs carry themselves with an air of aristocracy and need early socializing to accept many people. Pekingese dogs require little food for their upkeep and don’t need long walks for their exercise. They have short muzzles which make them snore. The curious name “Bichon Frisé” is derived from “Frisé” – French for “curly, and “bichon” – a type of lap dog. Centuries ago Bichon Frisé dogs were used by sailors in barter trade since they were so popular. Their eyes do not open up fully until they’re 12 days old after birth. Bichon frisé dogs are a favorite with artists especially Francisco de Goya’s who featured them in several of his paintings. Long ago pampering bichon frisés was so fashionable in France that they coined a word for it – “bichonner” – meaning to make beautiful. Bichon frisés’ clownish and friendly personality makes them suitable for showbiz and circus acts. 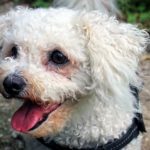 A Bichon Frisé ages fifteen ‘human’ years in the first year, nine ‘human’ years in the second year, and four ‘human’ years for every year thereafter. Just like a human’s hair, a Bichon Frisé’s hair never stops growing. Maltese has been around for over than 28 centuries making it the oldest of the toy breeds. Maltese are thought to originate from Malta and were bred down from a spitz-like dog used to hunt rodents. Years ago, Maltese dogs were found in many colors, but are always white these days. Owners of Maltese dogs in Egypt and Greece loved them so much that they buried them in elaborate tombs. Maltese were specially bred by Roman emperors to give them their white color considered sacred at the time. 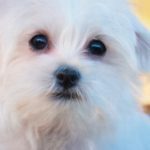 A Maltese dog’s nose can change color depending on whether he is in the shade or sunshine. They can jump great distances and don’t seem to fear gravity. 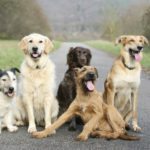 They suffer from separation anxiety when left alone and usually express their unhappiness through destructive chewing and barking. The richest Maltese dog was Trouble with an inheritance worth $2 Million. Shih Tzu were bred to be companion dogs and nothing more. They can’t guard, can’t hunt and can’t flush out vermin. DNA research shows that Shih Tzu are one of the world’s 14 oldest breeds. In ancient times Shih Tzu dogs served as lap warmers, foot warms, and bed companions. 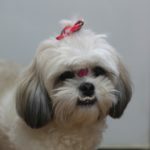 The Shih Tzu has a thick double coat comprising a tough outer coat and soft inner coat. The breed was nearly wiped out of China following the Communist Revolution in 1949. All surviving Shih Tzus today are descendants of 14 dogs that were brought to England in the ’30s. This dog breed doesn’t thrive in hot climates and is susceptible to heat stroke. Shih Tzus shouldn’t be left outside alone; they need a human’s love daily to survive. Chihuahuas are descendants of the Techichi, a companion dog kept by the Toltec civilization in Mexico. The Chihuahua is the tiniest breed of dog in the world. Chihuahuas love to burrow, a trait associated with their ancestors who lived in the desert. 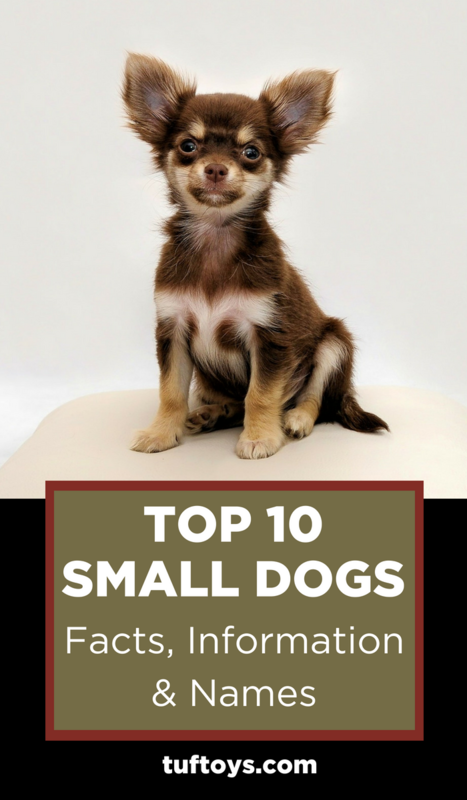 In comparison to its body size, the Chihuahua has the biggest brain among all dog breeds. The Chihuahua has one of the widest color combinations of any dog breed. The life expectancy of the Chihuahua is one of the highest among dog breeds. Myth has it that Chihuahuas can actually die from a broken heart if separated from their owners. Recent cases suggest they are far from the only ones. Chihuahuas prefer sleeping under a cloth or blanket to feel snug. 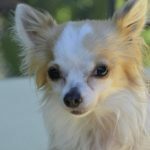 Chihuahuas are intelligent and fast learners capable of competing with larger dog breeds in agility and obedience trials. In their 105 years of competitions, Chihuahuas have never won the Best in Show award at the Westminster Kennel Club Dog Show. Pomeranians get their name from Pomerania, located near the Baltic shore, where they originated. Despite their small size, Poms have no qualms challenging bigger dogs. A couple of Poms are referred to as a “puff,” while a group of three or more is known as a “tuft”. Pomeranians weren’t always small; they were bred down to become companion dogs in the 19th century. Pomeranians are closely related to wolves by virtue of belonging to the spitz breed. Out of the three dogs that survived the Titanic disaster, two were Pomeranians. Frédéric Chopin’s “Waltz of the Little Dogs” was inspired his friend’s pet Pomeranian chasing his own tail. 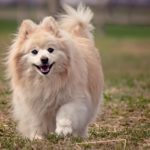 The Guinness World Record for “Fastest Dog on Two Paws” was set by a Pomeranian named Jiff in 2014. Pomeranians are trained as hearing assistance dogs and make great therapy dogs too. Martin Luther, the Protestant leader, had a Pomeranian, Belferlein, whom he often wrote about.